Customer feedback is truly valuable for your business. We have built the Ideas Component to allow you to ask your customers for ideas and suggestions and engage with them. They feel listened to and you get feedback and good ideas. It’s a win-win. The component works well with all Salesforce standard templates (Koa, Kokua, and Napili). You can use Community Builder to add it to the community. Editing the Ideas Component settings is easy. 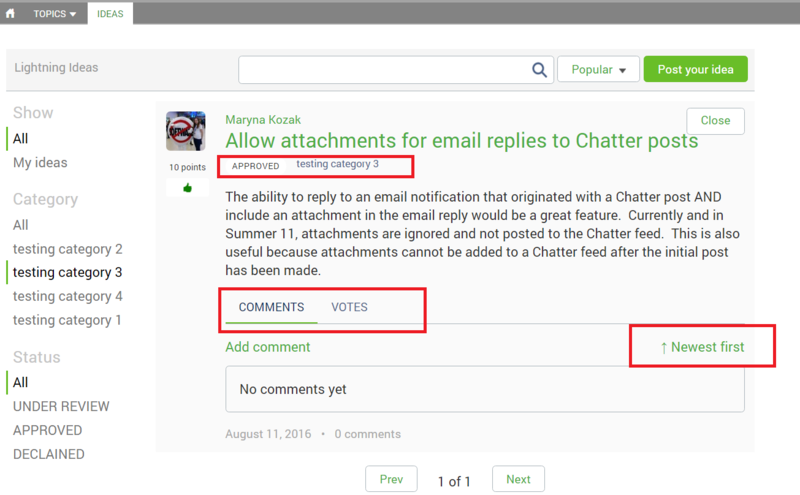 You can specify who can post ideas, who can vote, who can comment and a number of other criteria. Experiment and let us know how you get on. 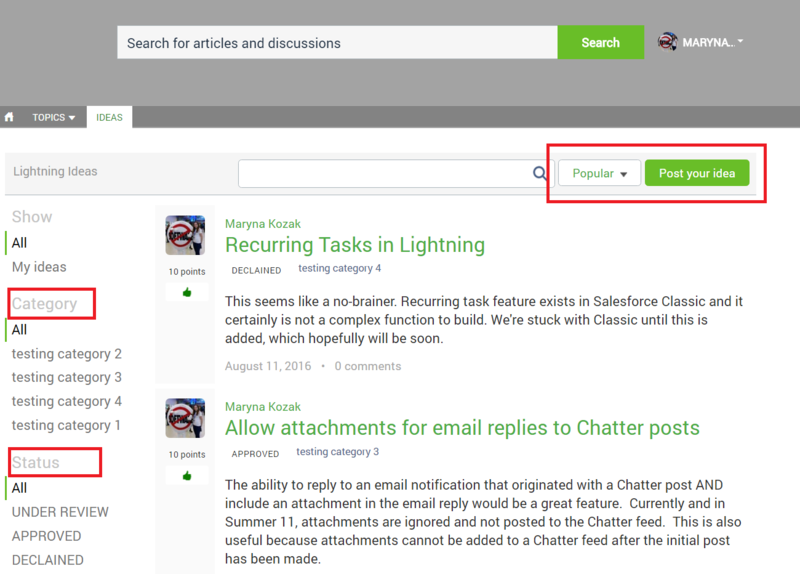 With flexible management, it is easy to specify the Ideas Component’s settings – who can post ideas, who can vote and comment on them etc. Our Ideas Component is designed to help and improve collaboration between you and your customers and we hope you find it a valuable tool for your business.